US shipbuilder Conrad Industries has delivered the Clean Jacksonville, the first LNG bunker barge built in North America. The Clean Jacksonville, which was constructed at Conrad Orange Shipyard in Texas, conducted safe and successful gas trials in Port Fourchon, Louisiana. The vessel will enter service for TOTE Maritime Puerto Rico in the Port of Jacksonville, where it will bunker two Marlin Class containerships operating on LNG fuel between Jacksonville and San Juan, Puerto Rico. 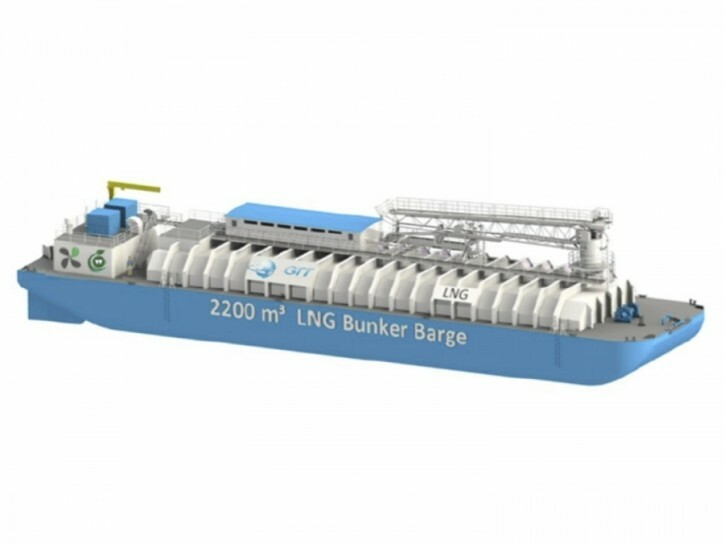 “It is the first LNG bunker barge built in North America. It is the first time the GTT membrane system has been installed in a non self-propelled barge in the U.S. It is the first time an LNG bunker mast of this type has been built. The list goes on,” Johnny Conrad, President and CEO of Conrad Industries, said. “The use of LNG as a maritime fuel results in tremendous environmental benefits – including air and water quality improvements – and this barge is the final critical component of our LNG program in Jacksonville,” Tim Nolan, President and CEO of TOTE, said.